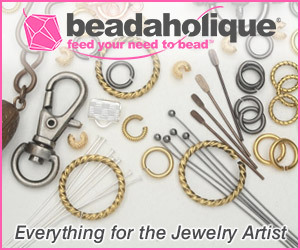 With a name like Goody Beads, you know you are in for a treat when you visit this jewelry making supplier! This Minnesota based company has a wide range of products for sale. 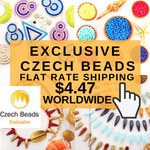 If you take a tour, you'll find they do also carry some less common materials like soutache braids and accessories for making stunning Russian designs, bead pens and beads and even scarves to bead! Their Regaliz™ Licorice and round thick cord leather supplies are really popular right now. It's easy to see why. 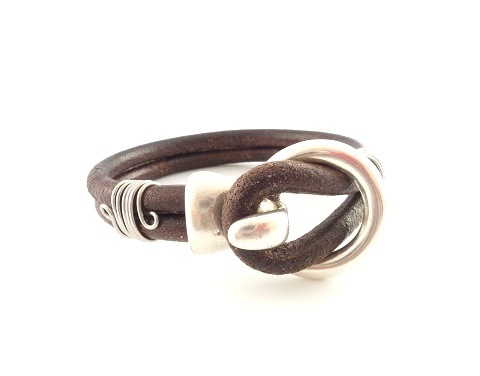 These European thick leather cords make dramatic bracelets. 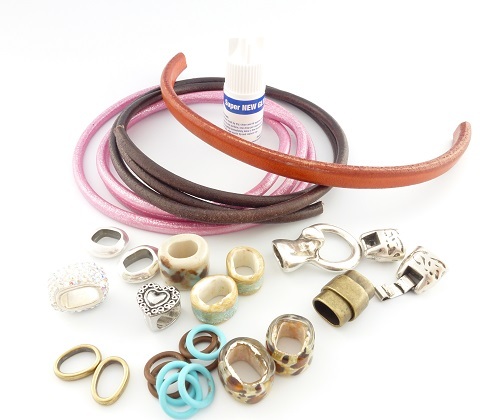 Goody Beads sent me some leather, large hole beads and some pretty awesome Regaliz™ clasps to review. I made 3 bracelets in all with a few beads left over. These bold bracelets are so quick to make. Trim them to the right length, add some beads and then glue on the clasps. What could be simpler than that? The rubber o-rings did a great job in keeping the focal beads from moving. These are available in different colors to coordinate with beads. I was very impressed with the US made Super New Glue which is superior to the super glue you buy in the store. The different formulation really works well, bonding in seconds. The little bottle had a nozzle applicator which made accurate application of the glue easier. I was cautious though and left it overnight before testing how strong the bond was. 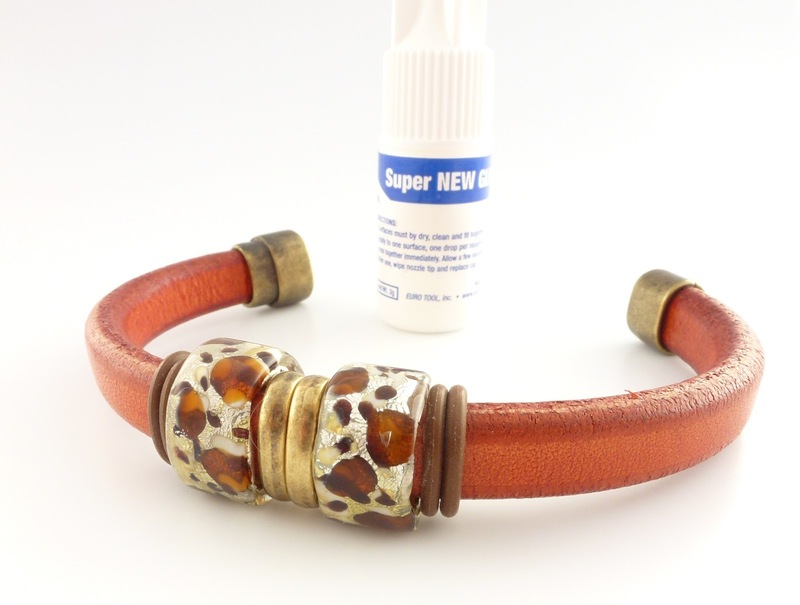 The magnetic antique brass clasp is definitely staying put on this Regaliz™ Licorice flat leather bracelet! It is a good idea to let the glue bond properly with the bracelet unfastened so there is no tension while the glue is setting. Also make sure that the leather ends are neatly trimmed for flush fitting. It is important the leather fits snugly inside the clasp before applying the glue. The round pink leather cord pieces were too loose for the fold-over clasp so I wrapped some wire tightly around the ends. I had to experiment with different gauges of wire to find the right thickness. One half of the clasp required 22G wire and the other, 24G wire. I also lightly hammered the coiled wire so that it "bit" into the leather more before finally gluing onto the clasp. Too loose and the coil will come off the cord. The rhinestone and ring focal components on the pink cord bracelet were not kept in place by o-rings but could be nudged along into position if necessary. The third clasp was initially a bit of a mystery to me as I thought there must be another part to it. But no, the clasp serves both ends of the bracelet. Neat! The doubled up leather loop fastens onto the hook portion. I added some wire coils for two reasons. Firstly, for decoration and secondly to keep the round cords together especially at the loop end. 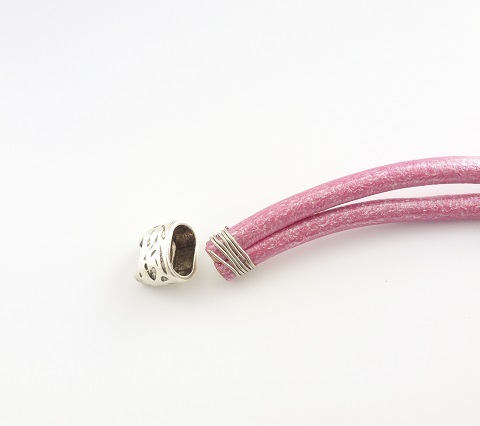 This will help putting on the bracelet easier as the wearer does not need to squeeze the loop together to make it through the large hole of the clasp. I really like how the choice of components and clasps could either dress up or down making the bracelets more feminine or unisex. This contemporary look has universal appeal. The clasps are on the expensive side but you do save a great deal on time and labor. It was hard to pick which bracelet was my favorite! 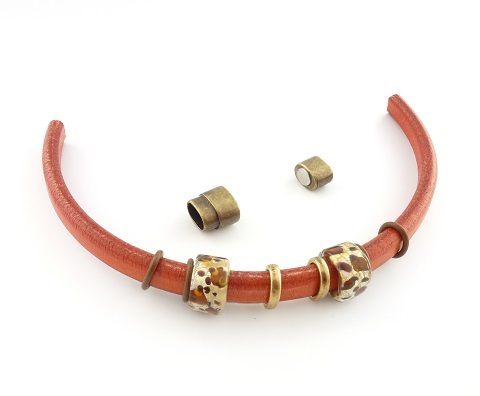 See Goody Beads' Pinterest folders for more Licorice bracelet and flat leather bracelet inspirations! If you'd like to win a $50 gift certificate from Goody Beads, please make a comment below. Make sure you leave contact info if you do not have an online shop or blog. Goody Beads are also offering $10 in Goody Beads Bucks to use on future purchases. The code to use is "GEM". Good until April 30, 2013. 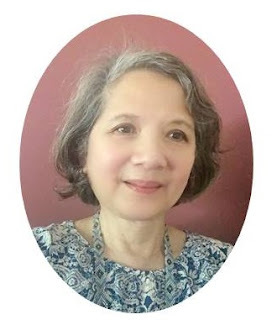 Subscribers need to click on the post title to come to my actual blog. Scroll down and enter your comment. Pick Name/URL. If you don't have a store or blog, leave the URL blank. Extra entries if you become or are a blog subscriber or follower etc. If you also do shout outs about this giveaway, those will count as additional entries too! Please say so in the comments. It ends in a week's time at 6 pm EST Monday, April 15 , 2013. I will pick the winner randomly and announce the results as soon as possible after. So be sure to leave a contact email if you don't have an online link or make sure you come back and check! Otherwise I will redraw in a week. Good luck! What fun! The possibilities are endless. Love the bracelets! If I'm the winner, you can find me at jenn.silva@yahoo.com. Thanks! So many beautiful beads to choose from!! Thanks for the chance!! I've been eyeing the Regaliz leather and beads for ages. Would so love to try them. Thanks Goody and Pearl for the giveaway. I'm a blog subscriber - love your blog!! This looks like fun! I hope i get to win this. good idea! 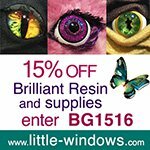 Make something different...and unique with these products. I have never seen them anywhere else...would be nice to try them myself. Love Regaliz leather and Goody Beads. This would be awesome to win. Love these bracelets. I've made a couple of them myself and the possibilities are simply endless. I look forward to making some more in different styles. If I'm fortunate enough to win, I am at thebeaddiva@comcast.net. Thanks for sharing. Wow! Great bracelets. Countless possibilities. Love the look.so streamlined and smooth! I would love to win !!!! I have admired these bracelets for some time now..would love to make them! So many fun options, love Goody Beads too! Awesome bracelets - different from others I have seen. If I win, I am at plumbeadacious@gmail.com. Thank you. I fell in love with these the first time I saw them! I have my fingers crossed hoping I win. I love Goody Beads! I've used them for the past couple of years since they have large hole items that nobody else carries. The quality really makes my items stand out from the crowd. 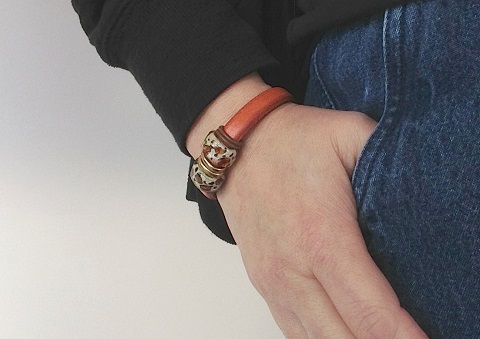 I've been playing around with leather, but these bracelets are seriously fun! These do look so fun and stylish. So glad to see more designs in leather that look so FAB!! I also follow the Blog and I am doing a shout out on google+ and facebook!! Lots of ideas for this giveaway! Thanks for the opportunity!! Liked and shared on fb!! I would love to win this, they look so much fun! I am a blog subscriber, also I will will promote in my blog. I will be posting it today. Thanks. Ooh, those clasps are stunners! Love your designs, Pearl. And I follow you, of course. I love these! That last clasp is so very cool! How cute and simple!! Love the rhinestone charm. These bracelets are fantastic. I would love to try out the leather cords and the clasps. I am a blog subscriber through Bloglovin. Love, love these bracelets!! Thank you for hosting the giveaway! I love this look!!! I shared this on my Facebook also. I like easy and funky!!!! Love these... They look so good!!! I'm a blog follower, too!! What a lovely offer!!!! The bracelets are gorgeous. Linked and shared on fb!! Thanks for another great giveaway!! Love the look of these bracelets. celticartwitch@gmail.com. Would love to win this one. Thanks for the chance. The bracelets that you made are great! I would love to win this gift certificate! These look like a lot of fun. I would love the chance to win a gift certificate. I've always wondered how they got the name Goody Beads. I think I just figured it out though. I think they were sitting around the table one night drinking tea and trying to come up with the name and they had a pile of sparkly beads in the middle of the table. Someone reached into the pile and said' "Oh Goody! Beads!" Thanks for the giveaway offer! 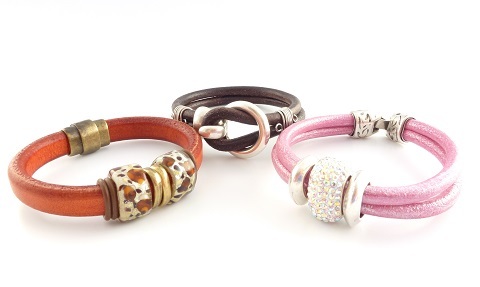 These leather bracelets are very pretty... and pretty is not what I think of when thinking leather! Usually more like black, Harleys and bikers. Would love to try this technique, so PLEASE may I win! I love your bracelets and I love the Goody Beads products. I had not heard of them and will check them out. I love your blog and would love a chance to win! I love shopping at Goody Beads! 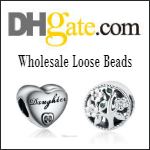 Their products are great and their service is exceptional! I usually get my order several days before I expect it and I live on the west coast! Your bracelets are wonderful! These are lovely! Hard to pick a favorite... the brown would go with every thing I own. I would be delighted to win the gift certificate! I just love the Regaliz leather it is casual and elegant at the same time. 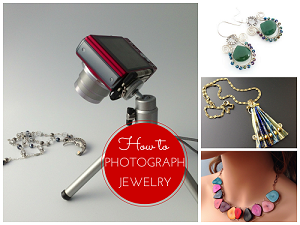 The Beading Gem's blog is one of my favorites! I would like to try some of their merchandise! I love what you did with the goodies you were sent from Goody Beads. I like the hook closure especially. A gift certificate would really come in handy. gorgeous bracelets! next project Regaliz bracelets, love them! What a great giveaway! I have bought several items from goody beads before and the customer service is fantastic. Great bracelets! The brown one with the hook clasp is my favourite. Thank you Goody Beads and The Beading Gem for a wonderful giveaway. What striking bracelets! Thanks for the tutorial and the opportunity to win! Love Goody Beads!! would love to win! I wasn't familiar with this brand. They look very exciting. I'm going to try them! The clasp on the 3rd bracelet is intriguing and leather always looks very luschious :) Thanks for the chance to win. That would be awesome. You can never have enough beads! And I never won anything so far. I'm a subscriber and FB fan. 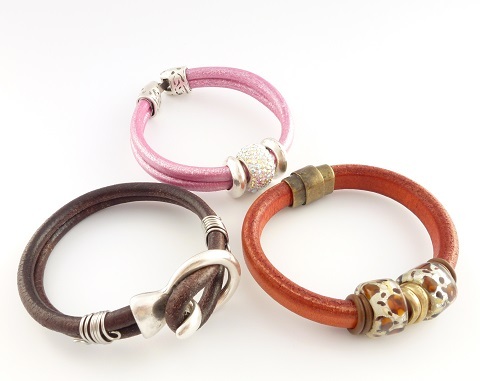 Wow , those leather bracelets look lovely , would love to win these . I'm not a bracelet wearer but I would wear these! And would love to make them, too. Thanks for the chance, Pearl. I am an e-mail subscriber to your blog. oh i dream of new supplies like this... its April and still snowing here ! AUUUGGGHHH ! shared on FB & by email ! What cool bracelets! So casual chic. Thanks for the giveaway! Free beads? GOODY! Couldn't help myself. I'm an email subscriber to your blog, a FB fan & I follow you on Pinterest. I have seen the Regaliz leather and beads before, but was reluctant to try them because of the price of materials. Going to have to hit the penny jar. These are really nice. I love the leather bracelets, especially the orange one. It would be great to win the prize and make my own! Thank you Pearl, love the opportunity to try the trendy leather bracelets, I hope I win. I am a follower and have a blog. Like these. Will look great with the more casual shorts and tees for summer. These bracelets are so impressive, yet so easy to wear. Another great giveaway! Thank you Pearl! I also shared on fb. Love the bracelets you made! I am a blog subscriber. And a Facebook follower. I am always amazed by the creative and beautiful new things that come on the market for making jewelry. The Regaliz bracelets are awesome ! I would love to be entered to win. Innovative Leather... very cool and different from what I see here in NJ. These are great! So versatile. I also follow via email. I love Goody Beads Mirage beads and Mood beads. It would be wonderful to win $50.00 worth of beads! Pearl, you did a great job on those bracelets! Please give Goody Beads a big thank you for such a great giveaway! Wow, those look so fun to make! I love the closure on the last one! I pinned your wonderful giveaway! Great giveaway! I just love your blog!!! I love this post. I love making jewelry as gifts and for myself. I hardly ever buy jewelry anymore, I just make it! I love your bracelets and especially the potential for unisex designs. Males are hard to design for but these are perfect!! Thankyou for this awesome opportunity!! The Goody Beads are awesome!!!!!! I love Goody Beads! I have ordered from them several times, and they always arrive quickly and neatly packaged! Pretty please count me in for this amazing giveaway! I am a follower of your awesome blog! I'm a follower to your blog. I find it very interesting and I love the diversity of subjects. I've shared on my Facebook. I would love to win. You made so beautiful bracelets. I'd love to try some of those awesome bracelets!! Not only am I a subscriber of your blog, I love the links and tutorials your provide as well as tips, tricks, and information! I've been eyeing these components by Regaliz for a while now, and would love a chance to use them. I also subscribe to Goody's page for all their ideas and great sales. So, thank you to everyone involved in this give-away! Those look like fun to make! 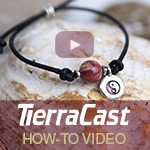 I'm sure I'm too late for the give-away, I just wanted to say those are some awesome bracelets! Love those bracelets. Inspiring me to make some. I want to make jewelry my 16 yr old granddaughter would wear. Right now she has out grown the bracelets I used to make her with the glass beads. These are perfect for her! I love them! I'd love to make those beautiful bracelets but I'm scared!! How do I take that first step? What a lovely package, please enter me for a chance at it!